The very latest news from the Dish Consortium would be that the Dish Preliminary Critical Design Review has just been successfully held. This has been considered as a great opportunity to improve the Dish CDR process as well as the System CDR. In the past few months the Dish Consortium has been fully involved in the preparation of the meeting. Nearly 200 documents have been submitted for review and hundreds of observations, actions and responses have been placed by the review panel and the consortium in a short period of time. The panel has reviewed the Dish element in a very comprehensive way including the requirement traceability, addressed non-compliance, design maturity, design stability, interface, qualification results, verification plans, construction plans, change management process and risks and mitigations. The outcome of the meeting is positive and there are several actions identified to follow up preceding the system CDR. It is recognized that the consortium resource is limited and the actions to this from the Dish Consortium and SKAO have been identified. All these actions are collected in the panel report that will shortly be distributed to the SKA-DC. Apart from the works for the Dish Pre-CDR, the development and qualification works of each sub elements have been kept on tracks thanks to the remarkable efforts by the sub-element teams. While the preparation of the Pre-CDR meeting ongoing, the engineering team has successfully led the two sub-element CDR meetings, the Single Pixel Feed Band1 and the Local Monitor & Control, which are now expected to be closed by the end of this year. The system engineering team has also been involved in the SPF Band2 CDR closure, the detail design of SPF Band5 and the qualification tests of Dish Structure team. The Dish Structure team has been working intensively on the qualification tests of two prototype dishes, the reflector performance test on SKA-P and the Electro-magnetic Interference test on SKA-MPI Servo System. These works are essential to the progress of Dish Structure CDR as well as the Dish CDR. In general these test results are exciting and inspiring. A series of tests have been performed on SKA-P in the past few months, along with the discussion on the qualification procedure and months of working on the holography test. The preliminary test results of SKA-P reflector performance has been discussed as a key topic during the pre-CDR meeting and during the following days. It is exciting to see that the information and ideas have been shared and much of confidence has been built. 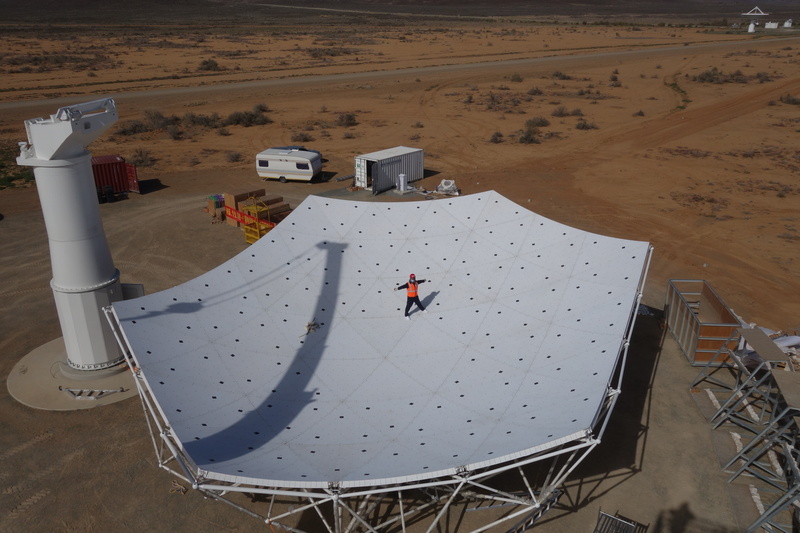 The dish structure team intends to continuously optimize the SKA Dish prototype performance, adding up the maturity of SKA-MPI installation and alignment. Another noted progress is from the EMI tests on SKA-MPI Servo system. After the system level tests in South Africa, more components level tests have been performed in the last months and they delivered promising results. The dish structure team has put massive efforts onto this to challenge the very strict EMI requirements. The first stage of SKA-MPI installation has been completed. It is planned that the construction of SKA-MPI will be restarted early next year. The Receiver development is progressing towards its delta DDR, with newly detail design and fabricated hardware. The FPGA firmware porting from Xilinx to Intel/Altera Talon platform has largely complete. The new Band123 ADC board is now ready for the test. Except the ongoing detail design of receiver Band123 and power supply, the team has started the development of the SPFRx LMC Tango software porting from BeagleBone SBC to Talon on board linux host, firmware of data streaming demonstration from ADC to Talon Board and the CSP Emulator. The detail design is also in progress for the SPF Band5 team. The feed package controller detailed design and prototyping is ongoing, with focus on the definition of internal interfaces within the FPC. Detailed drawings are being created for the horns and OMTs for bands 5A and 5B. The parts for testing the LNA supports for temperature control have been drawn up. All parts have been made apart from the new shields. The new test window (60mm thick HD30) has been made and is now under vacuum. In parallel with this, the SPF Band5 is working on the window geometry for different aperture sizes and HD30 thicknesses. The DDR meeting for the SPF Band5 is expected to be held at the end of February 2019. In the aspect of sub-element CDR, the SPF Band2 team has been working on finalizing their CDR closure. 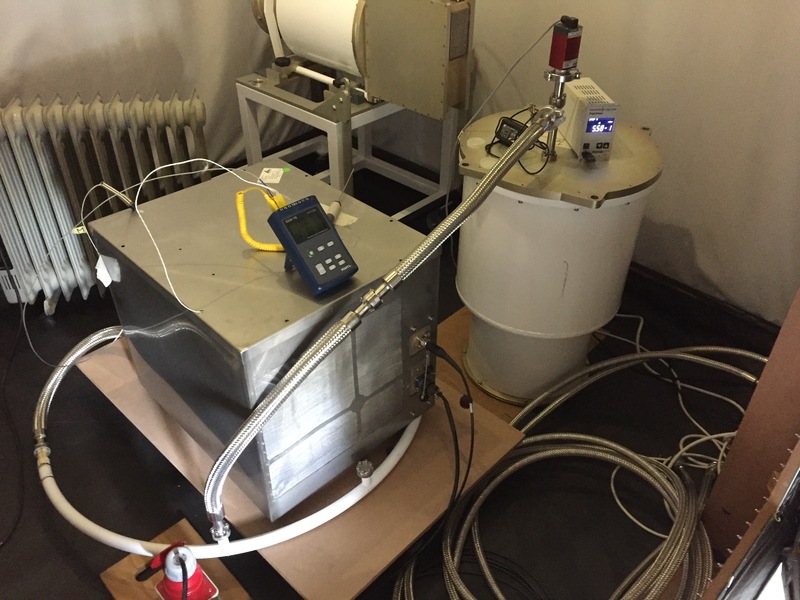 The closure actions of Band2 feed and controller have been completed at the end August and the S-parameter and noise test equipment has been built. After that, the SPF Band2 team has been focused on the helium compressor and the vacuum system. There are two helium compressors, the SHI compressor and the OCS compressor. After updating the qualification test procedure, the SHI compressor has been considered as an available choice. The OCS compressor is waiting for its RFI test and on-site test in South Africa. The evaluation is still ongoing but the interface has been finalized. 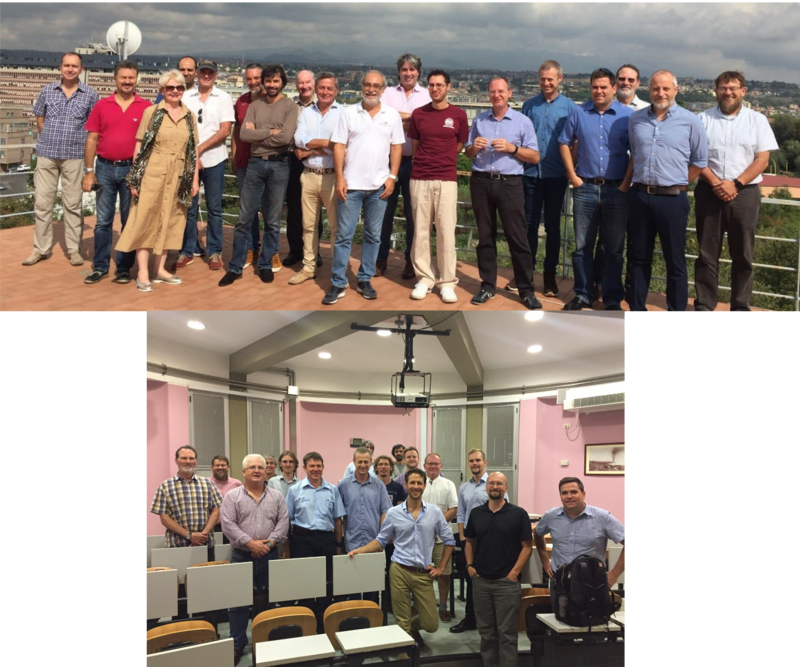 Another two major milestones achieved are the SPF Band1 CDR meeting and LMC CDR meeting, held on 18th September and 20th September respectively. The successful meeting of SPF Band1 was the consequences of comprehensive qualification tests in South Africa and Sweden, including the EMI tests, environmental tests, MeerKAT on-dish test, etc. The LMC team has been focusing on the software such as interface, control action and simulator. The team is closing the CDR with checking the hardware and getting preparation for SKA-MPI integration. The DFN team is updating the DFN design baseline in accordance with Dish change management process. 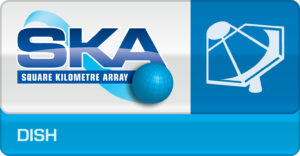 The preparations for a possible early integration onto the SKA-MPI will get underway in January 2019.